The Fourth of July holiday has lots of opportunities to enjoy outdoor activities with family and friends, including picnics, barbecues, cookouts and other outdoor parties. Because warm weather will be perfect for outdoor eating, it also presents opportunities for foodborne illnesses. Remember the following tips to protect yourself, your family, and friends from foodborne illnesses this Fourth of July. Wash hands – wash hands thoroughly with soap and water for at least 20 seconds, especially after using the bathroom, before handling any food, after handling raw poultry or meat, and before eating. If there is no bathroom nearby, use a water jug, soap, and paper towels. Keep raw food separate from cooked food – do not use a plate that previously held raw meat, poultry, or seafood for anything else unless the plate has first been washed in hot, soapy water. Keep utensils and surfaces clean as well. Marinate food in the refrigerator, not out on the counter – marinating foods on the counter increases the chance of foodborne illness, since bacteria multiply rapidly at room temperature. When finished marinating raw meat, dispose of the remaining marinade. Cook food thoroughly – use a food thermometer to make sure meats and poultry reach a safe internal temperature. Hamburgers should be cooked to 160 degrees. Chicken should be cooked to at least 165 degrees. If you partially cook food in the microwave, oven or on a stove to reduce time cooking on the grill, do so immediately before the food goes on the hot grill. Keep food out of the Danger Zone! Hot food should be kept at or above 135 degrees. Hot food should be wrapped well and placed in an insulated container. If bringing hot take-out food like fried chicken or barbecue to an outdoor party, eat it within two hours of purchase. Remember to pack a food thermometer to check that foods are held at a safe internal temperature. Be sure that re-heated food reaches 165 degrees. Cold food should be held at or below 41 degrees. 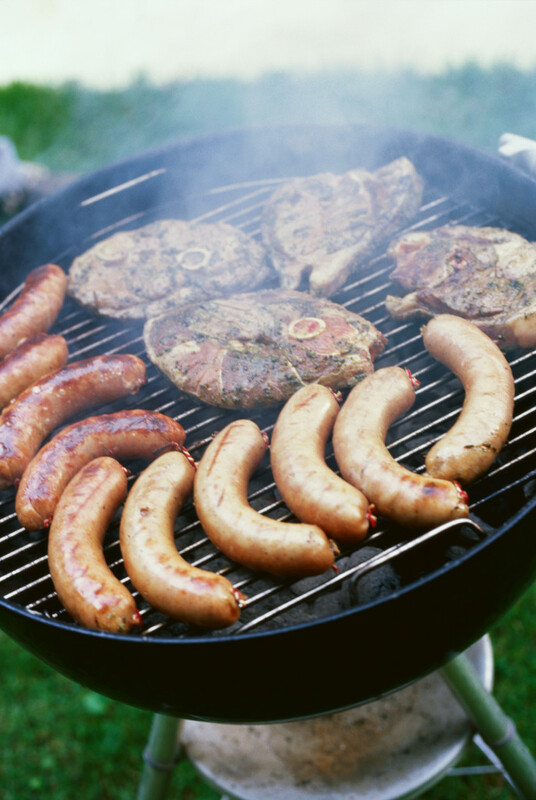 Food should not be left out of the cooler or off the grill for more than two hours. Never leave food out for more than one hour when the temperature is above 90 degrees. Foods like chicken salad and desserts that are in individual serving dishes can be placed directly on ice or in a shallow container set in a deep pan filled with ice. Drain off water as ice melts and replace ice frequently. The Centers for Disease Control page “BBQ IQ – Get Smart. Grill Safely” has helpful tips about ways you can protect your family against foodborne illness. For more information, contact the County of San Bernardino Department of Public Health Division of Environmental Health Services at (800) 442-2283 or visit our website at http://wp.sbcounty.gov/dph/programs/ehs. San Bernardino County men are invited to attend two breakfasts that aim to inspire, educate and better equip them to tackle the challenges of fatherhood. 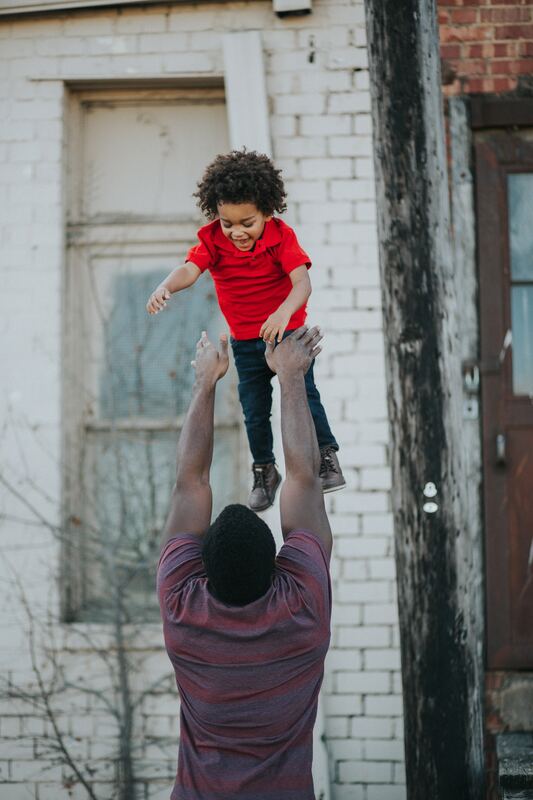 Now in its seventh year, the effort is a collaboration with Children and Family Services (CFS), County agencies, community and faith-based organizations and individuals from various professions working to reduce father absenteeism and the negative effects of fatherlessness. Participating San Bernardino County agencies include the Children’s Network, Preschool Services Department, Probation Department, Child Support Services, Department of Behavioral Health, and Court Appointed Special Advocates. CFS is dedicated to the protection of abused, neglected, and dependent children in San Bernardino County and the promotion of their well-being. CFS is doing its part to help the community achieve the Countywide Vision by ensuring residents have the resources they need to provide the necessities of life to their families. Information on the Countywide Vision can be found at www.sbcounty.gov.